I used to have an easy answer when someone asked me to name the best Italian restaurant in town. I would say, without hesitation: Toscana at the Ritz-Carlton. Executive chef Umberto Bombana, a.k.a. 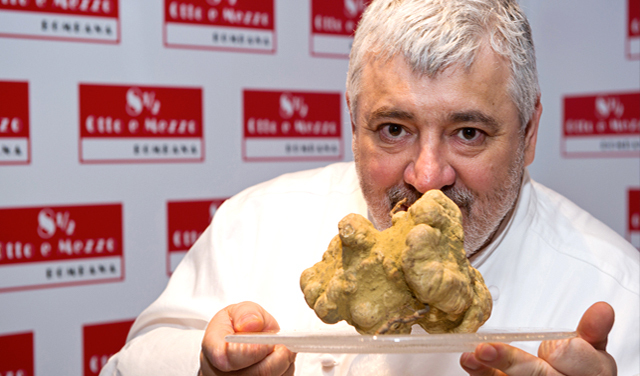 King of White Truffles, succeeded where many have failed in elevating hearty Italian cooking to haute cuisine. 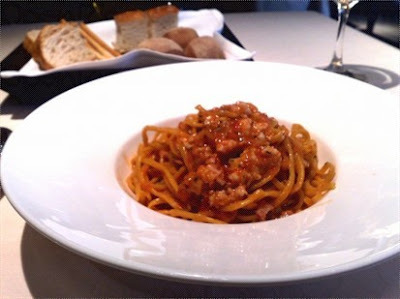 The pasta dishes at Toscana were always cooked al dente to effortless perfection. But because all good things must come to end, Toscana closed down in 2008 when the Ritz was demolished for redevelopment. It was a sad day for foodies across the city. Two years later, Bombana found a new home at Alexandra House and opened Otto e Mezzo. Named after Federico Fellini’s iconic comédie noire, Bombana's second act is meant to be less formal than Toscana, although the food was supposed to be just as good. 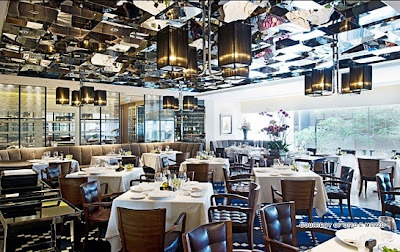 In 2011, The Michelin Guide Hong Kong gave Otto e Mezzo two stars. The following year, the guide bestowed the restaurant a third star, making it one of five restaurants in Hong Kong awarded the top rating and the only Italian restaurant outside Italy to have won three stars. Having achieved culinary stardom (literally), the restaurant now requires weeks of advance booking and a much longer wait if you wish to dine on the weekend. The overwhelming success led Bombana to open a branch in Shanghai's ultra-chic Rockbund area this past June. I never got sucked into the whole Bombanarama, in part because I’m too cynical these days to get starry-eyed over A-list restaurants, and in part because many friends have been to Otto e Mezzo and told me not to bother. Last week, I finally paid them an overdue visit and went there for lunch. At 12:15pm on a Wednesday, the restaurant was packed to the hilt. 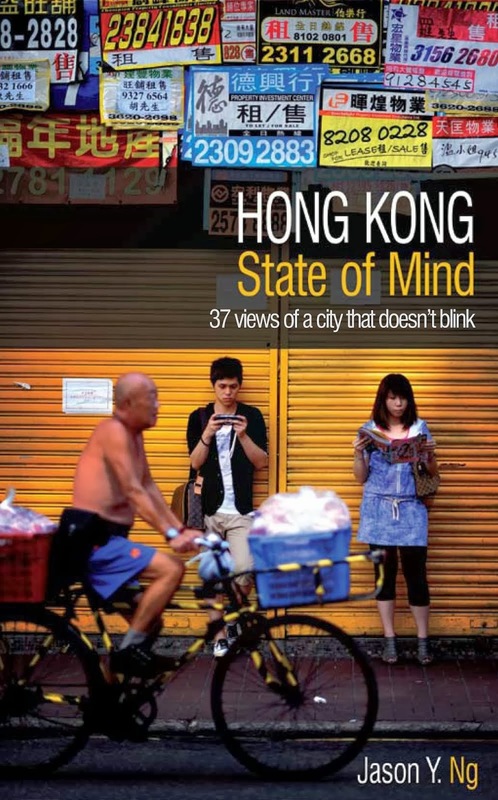 It was a clear sign that, two and a half years after it opened, it is still the “it” place in Hong Kong. My guests and I were seated in the main dining hall at one of the C-shaped booths. The décor is well-appointed and tasteful, but it lacks the oomph of a top-notched restaurant. After all, this is supposed to be the best Italian restaurant outside Italy. Although the staff are not unfriendly, they come off as stuffy and inattentive. I asked for lemon to go with my sparkling water and the waitress brought back a single slice and dropped it into my glass, ignoring all the other glasses on the table. The same thing happened when I asked for parmesan cheese for my pasta. A different waitress showed up with a grater, gave my dish a few shavings and started to walk away. That's when I said to her, “Excuse me, I’m not the only one having pasta at the table, am I?” She needed to be taught a lesson. I get it, service is not their strong suit. So let’s move on to the food. I ordered the veal salad for appetizer and for main I had the homemade tagliatelle with pork ragu. They weren’t the most exciting choices but I needed something simple to compare the food at Toscana with. The veal was overwhelmed by the creamy dressing and was otherwise unmemorable. The pasta tasted good but was nothing to write home about. I know it’s lame to taste a dish and say “I can cook that myself,” but this time it was for real. I make a better and less greasy tagliatelle. All around, the portions were pitifully small. I know it’s also lame to eat at an upscale restaurant and say “I need to grab a cheeseburger after this,” but this time it was for real also. I was hungry after paying nearly $400 for the prix fixe lunch. Given all the awards and superlatives Otto e Mezzo has won, they can’t blame me for having high expectations. But the restaurant falls far short of what a three Michelin star restaurant should be. It confirms my belief that The Michelin Guide is simply a marketing tool for restaurateurs and that their ratings are often arbitrary and unreliable. It is possible that to properly experience Otto e Mezzo, I have to go there for dinner and try one of the expensive, truffle-heavy dishes. It is also possible that the restaurant was excellent when it first opened, but complacency and hubris have taken a toll on the quality and consistency. Whatever it is, the restaurant left me with only one thought: I miss Toscana. I have to say i m a bit surprised at your comments, but then again, i may be biased. Coz' i know a few of the captains / managers (whatever you call them) and one of the chefs there (courtesy exchanges with the man himself before but bet he wouldn't remember). The chef i knew is actually a pretty good one and a nice fella from Robuchon. Or maybe i never went with any particular expectations. The other waiters' attitude is a bit stony, i dare say, except those who are under orders to be extra nice to this gal probably. But i guess if their food and service can vary that much between customers, that say something about the restaurant already. I never swallowed the Michelin guide, but most of the dishes i had there before were immaculate. Being the seasoned Italian-schooled gentleman that u r, i bet u'll remember the white truffle season is on us already. I heard Pierre is serving it n Robuchon is doing a gala dinner with 'white truffle' as the theme on 24/11/12. Still, i agree with you, i missed Toscana, but i have yet to try out Tosca, the 'sister' to the ex-Toscana? Beware food writers who claim they themselves can cook better. I'd really like to see you try, Mr. Ng. 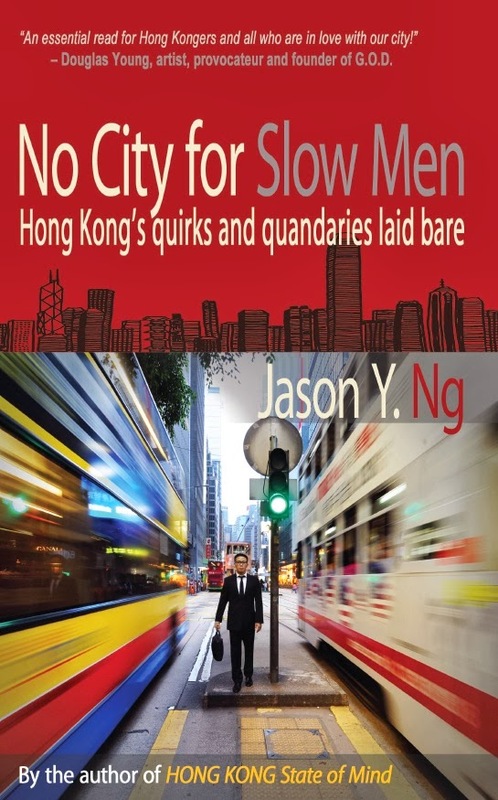 No offence, and I take it that Jason used the phrase partly as an expression and partly as the truth. Whether or not Jason can cook better pasta than the chefs at Bombana's I cannot testify, but I have seen pictures of Jason's cooking before and I know that he has been cooking for years and really loves to cook. The passion itself counts a lot, unlike some of the chefs in the F&B industry in HK who take cooking as a task to be done daily only. As far as I know/experience, not that many (some do, I used to know a few) chefs in HK cooks with a passion for their patrons. 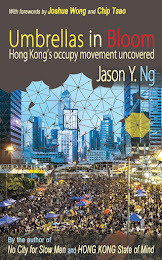 Thanks for the review Jason! Im going there for dinner on Saturday to sample some of their truffle and pasta dishes. I had it once in 2010 and I still remember the pungent aroma from the truffles, but your review will help me to manage my expectation again for the visit this weekend. Hopefully my meal will be as good as I remember it was a few years back. In general i quite appreciate your restaurant comments, and your written criticisms based on your observations are quite fair. However, to rate your restaurants with a 5 star system based on one dining experience doesn't seem to be fair, especially when at some restaurants you try their dinner signature degustation menu while recently at other places you try their standard prix-fixe lunch. Many upscale decent restaurants have very standard prix-fixe lunches, and anyone should know that a full menu dinner at these places could be a very different experience compared to having a prix-fixe lunch there. I just wonder what is even the point of reviewing otto e mezzo's prix fixe, when half of hong kong's word of mouth and many blogs online already say the same thing...it's already predictable not surprising at all. As even you suggested in your review, you wish to try their dinner's signature truffle dishes. Review a dinner where you went all out and tried the best a restaurant has to offer...i just think that would be much more interesting to read. Like at Lupa, you went to try an Italian restaurant but you were on a carb-free diet?!! What's the point? How can you fairly review an Italian restaurant with such a diet restriction? Not as extreme, but that's like going to review a burger joint but you don't eat beef. Or test driving and then reviewing a sports car, but you didn't drive over 50km/hour. Sorry for the long rant and verbosity. Best Regards! This is really interesting take on the concept. I never thought of it that way. I came across this site recently which I think it will be a great use of new ideas and informations.